Specification: 4.5HP engine, 53cm/21” working width, transport wheels Age/ Hours: Year of Manufacture 2013, 1044, 1056, 1068 hours Condition: Excellent condition, serviced, sharpened and ready to work Price: £7500+VAT £9000 for all 3. Price is for all 3, for individual pictures; see other advert where they are advertised individually also. 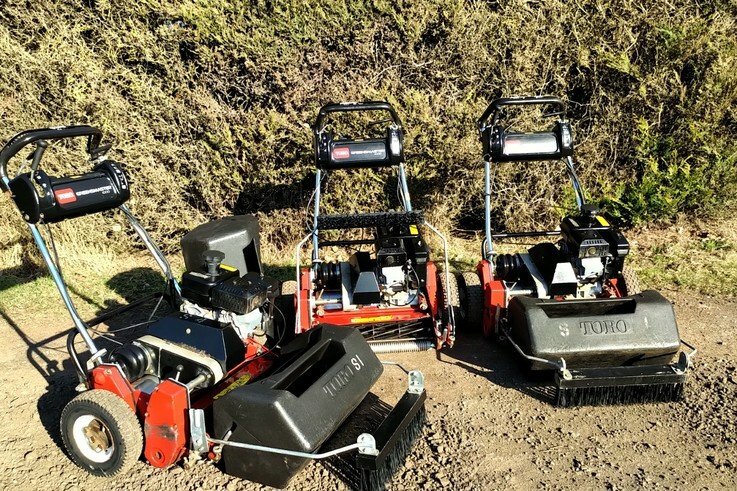 Location: Newbury, Berkshire, delivery available 30 day warranty Finance available - PI Limited is FCA compliant PI Limited was established in 2005 as specialist suppliers of pre-owned groundcare machinery.